5.1 Q: Are tiger lilies safe around my pets? 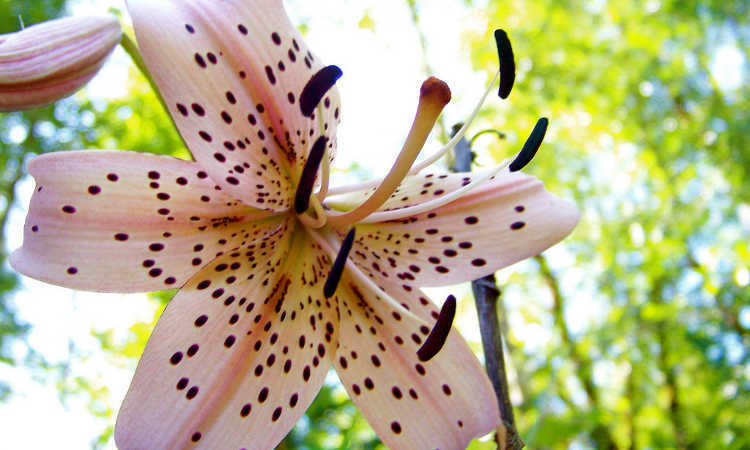 5.2 Q: Are tiger lilies poisonous to humans? The showy and stunning blooms of the tiger lilly flower are well worth the effort, and for good reason. 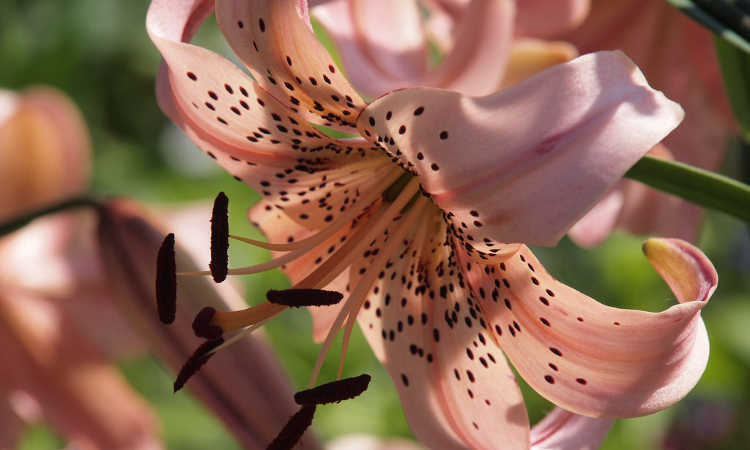 Originating in Asia, tiger lily (Lilium lancifolium, also called Lilium tigrinum) is a popular ornamental plant that’s become widespread internationally. It’s even become naturalized in parts of the United States, and can be widely seen throughout New England in the wild. Of course, there’s a Tiger Lily Native American character who became popular in the children’s story Peter Pan. It can be hard to find tips on growing these glorious flowers online because half the time, you’re more likely to find references to her! It’s also reputed to be a flower of mercy, compassion, and loyalty, as well as being tied to wealth and success. A Korean folk tale tells of a hermit who helped a tiger who had been shot by an arrow. The hermit removed the arrow, and the tiger swore unending friendship in return. When the tiger died of old age, the hermit used his power to turn it into a stunning tiger lily, keeping its beauty intact in memory. Once the hermit himself finally passed away, the tiger lily began to spread in search of its friend. Some say it’s still searching to this day. So whether you’re seeking a fierce blossom of orange and black, or a loyal plant who might just try to take over your garden, the tiger lily is perfect for you. Let’s bring a piece of Neverland home and explore the world of tiger lilies! Origin China, Japan, and Korea. Now naturalized in the US and distributed worldwide. Water Drought-tolerant but prefers consistent regular watering. Temperature Plant grows through spring & summer, is dormant in fall/winter. Flourishes in zones 4-9. Soil Well-draining soil preferred. Can grow in poorer soils but likes richer ones. Pests Aphids & red lily beetles. Tiger lily is a carrier of other lily diseases like lily mosaic virus, but is very disease-resistant on its own. While all tiger lilies are from the same species (Lilium lancifolium), there are different views on what tiger lilies actually are. Generally speaking, most tiger lilies are considered true lilies, in that they come from a bulb. However, the term bulb is interpreted rather loosely in this case, as different forms can come from bulbils or from a more tuberous root structure. 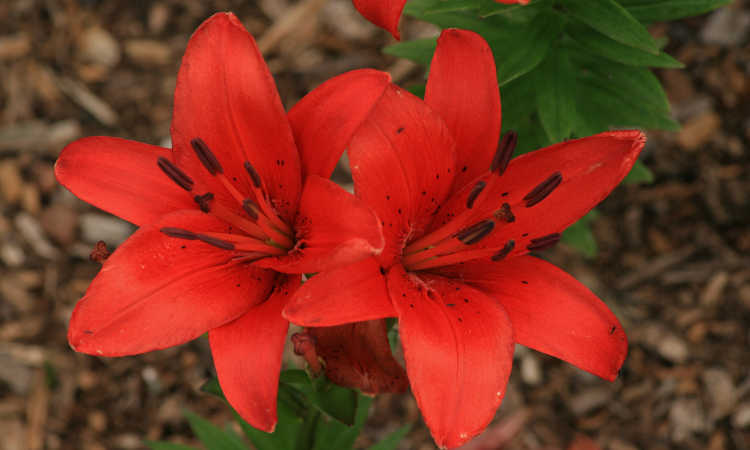 There are two general bulb variations which tiger lilies take. The Oriental tiger lily form tends to propagate from bulbils that develop along the stem near leaf buds or axils. 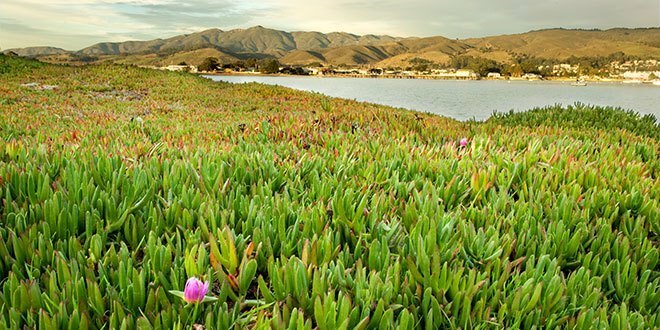 The common wildflower variety spreads through their tuberous root systems. Over time, cultivars have been developed to produce white, yellow, red, or pink flowers in addition to the popular orange and black tiger lily flowers. Common attributes visible in tiger lily flowers include distinctive dark speckling or spotting towards the center of the flower and outward-curling petals. Multiple large flowers will branch from a single stalk in a clump, and the plant’s leaves are lanceolate (long and spear-head like). The plant’s central stalk can be several feet tall, and usually doesn’t require heavy staking. There are a few other species that are occasionally called tiger lilies. These include Lilium parvum (the Alpine lily, also called the Sierra tiger lily), Lilium columbianum (the Columbian lily, also called the wild tiger lily), and Lilium michauxii (the Carolina lily). Of these, the Carolina lily is the closest in appearance to tiger lilies and is most commonly confused with them. The shape of the flower itself is almost identical to the shape of a tiger lily flower, but lacks the distinctive speckling. Many hybrid lilies also show signs of having been crossed with Lilium lancifolium. These may have colorations typical of another lily species, such as vivid streaks of color up the petal’s center. They also show the speckling and recurved petal shape typical to tiger lilies. Once established, tiger lilies are almost maintenance-free outside of a little fall pruning. However, it takes a few years to get them established, especially if you’re growing from the bulb. 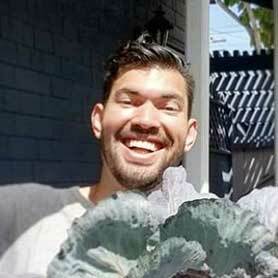 Let’s go over optimal growing conditions for these plants! Most tiger lilies prefer full sun conditions. In hotter climates, they will also accept partial shade, especially if the shade comes during the heat of the afternoon. 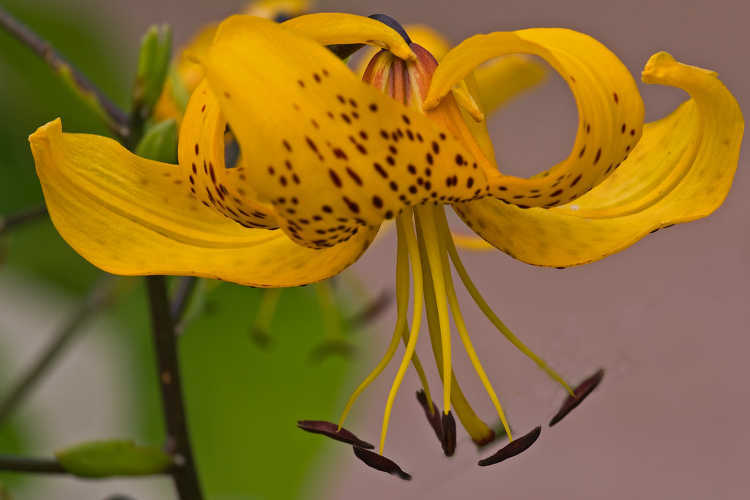 Established tiger lily plants are relatively drought-tolerant and can survive in arid climates, provided that they get an average amount of water. Younger plants may require more watering until they’ve matured and spread their roots deeply. Extra moisture will spur larger plant growth. Mulching during the hotter and drier times of year will help keep the roots cool and the moisture in the soil. Well-draining soil is essential for these plants. While they can tolerate moisture that stays in compost-rich soil, they don’t want to be drowned in puddles. Poorer soil conditions such as sandier soils are fine to these plants. They will grow in clay soil as well, but it will take them longer to become established, and drainage will be a problem. Honestly, tiger lilies don’t need a whole lot of fertilizer. A good application of a layer of compost around the bases of the plants once or twice a year should provide all of the nutrition they require. If you do wish to encourage more flowering, you can use a 5-10-5 fertilizer, but it’s not absolutely required. Propagation of these plants is either by bulbil or by bulb division. Ideally this should be done during the spring before it puts up new growth, but dividing them in the fall in warmer climates can be done as well. Bulb division requires digging up the entire plant carefully when it’s dormant and gently separating the individual bulbs. Replant your bulbs as separate plants with the pointed side aimed upward. Bulbils will form along the stem of the plant at leaf axils. You can carefully remove these and pot them as if they were bulbs to grow a new plant. These will take an extra year of time before they begin to bloom, so it’s a slower growth process. Something to be aware of: most tiger lily species are aggressive spreaders. 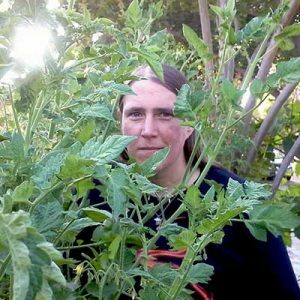 It’s a good idea to divide your plants every couple of years so they don’t rapidly take over all available space in your garden beds. You can always pot and give away divided plants to friends and family, or simply compost them, but it’s important to keep them contained. If your potted lily has begun to stop producing flowers or is declining, it may no longer have enough room for its roots to grow. At this point, you have two choices: either repot it into a larger pot, or divide it in the spring or fall into multiple pots. Tiger lilies should be planted at the same level of soil that they were planted before. Ensure you have well-draining soil that’s organic-matter rich to provide plenty of plant nutrition. As summer eases towards fall, your lilies will begin to die back. The lower leaves begin to yellow first, and gradually it will spread upward. It’s important to cut back the dead leaves and stalks once all the leaves have begun to yellow. Simply trim them off close to the ground and allow the plant to go dormant for the winter months. This annual pruning will help prevent the spread of plant diseases in your garden, and may also help reduce pest populations. When the spring comes again, you can then easily divide your tiger lilies prior to new shoots forming, or simply allow them to come back to life on their own. If you live in an area which gets sub-freezing temperatures during the winter, spread 2-3 inches of mulch overtop cut-back tiger lilies in the fall. This will help protect the bulbs. Freezing while dormant will not kill the bulbs, but may cause damage if they repeatedly freeze and thaw. There’s surprisingly few problems to be aware of when growing tiger lily, but what few there are are mentioned below! If you’re growing your tiger lilies indoors, be sure not to leave them in standing water. Overly-wet soil can lead to basal rot. 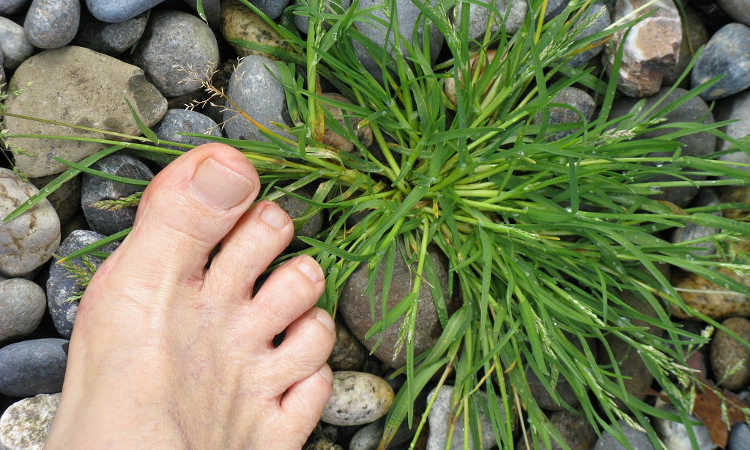 Check the soil with a fingertip and water when the soil begins to feel dry. 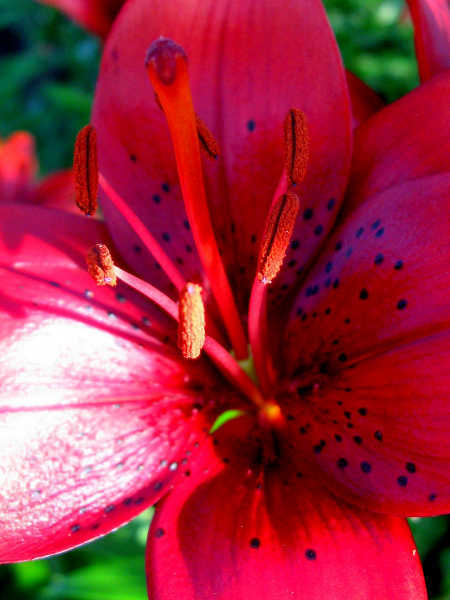 Tiger lily is susceptible to two pests: aphids, and the lily beetle. 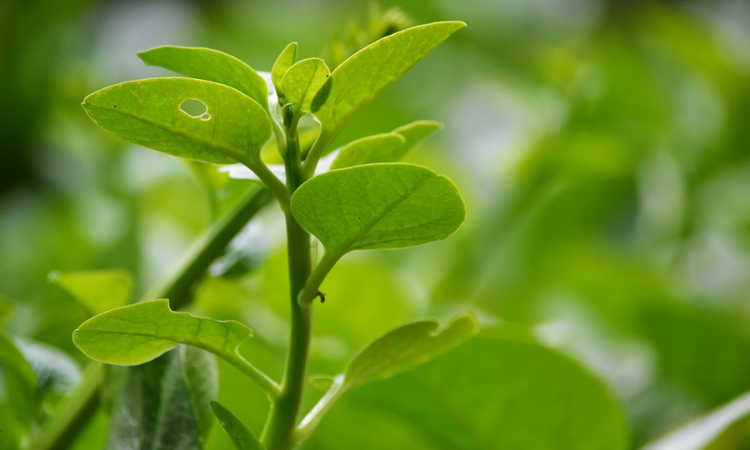 Aphids are a common garden pest, and are easily controlled with the use of neem oil. 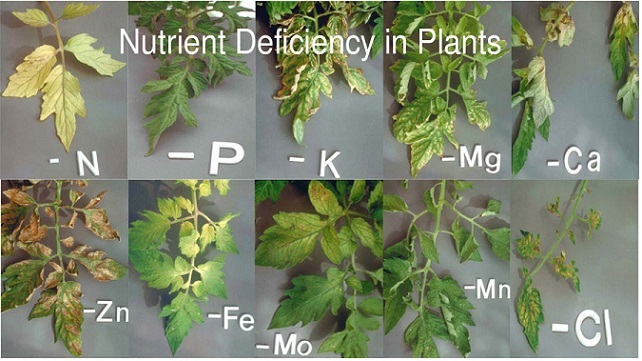 While they may not kill your plants in small numbers, they’re transmitters of plant disease. As tiger lily can be an unintentional host for other plant diseases, it’s important to keep aphids at bay so they don’t spread disease further. Originating in Europe and now reported in the eastern United States, the red lily beetle dines upon the leaves of a multitude of lily species. While it’s still not widespread in the U.S., it’s at risk of becoming so if not kept under control. Avoid this pest by regularly spraying your plants with neem oil. Neem will repel adults and will kill larval and egg stages of the red lily beetle. Spinosad sprays such as Monterey Garden Insect Spray have also shown signs of being effective at killing adult lily beetles. Tiger lilies are resistant to most common lily diseases. However, they are a known carrier for lily mosaic virus. While the lily mosaic virus will not harm them directly in most cases, they can rapidly spread it to other lily varieties nearby, especially if aphids are present. It’s important to keep your tiger lily plants away from other lily species for this reason. Otherwise, the biggest plant disease that impacts tiger lilies is basal rot. Present in warm, moist soil, this causes the bulb of your plant to rot, and can be catastrophic. It’s best to prevent this by providing excellent drainage in the soil and not overwatering during the summer months. Q: Are tiger lilies safe around my pets? 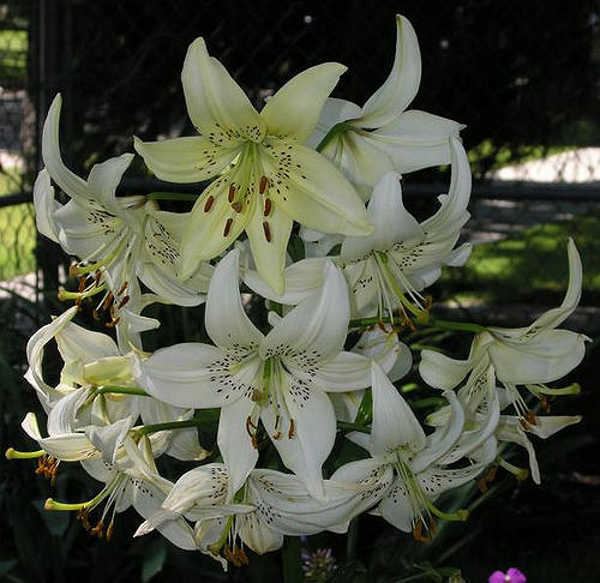 A: Like most true lilies, tiger lilies are poisonous to cats. There are hybrid forms which claim to be less dangerous around your pets as they do not produce pollen. However, even these can be dangerous if they’re chewed on by your cat. Lilium lancifolium, aka Lilium tigrinum, is considered to be non-toxic to dogs or larger livestock like horses. However, in cats, it can cause vomiting, lack of appetite, lethargy, kidney failure, and possibly death, so cats are definitely at risk. As with any plant that may be risky, if you suspect your pet has eaten some of your tiger lilies, it’s best to contact your vet to be sure. This is absolutely essential if you’re a cat owner, though – contact your vet immediately! 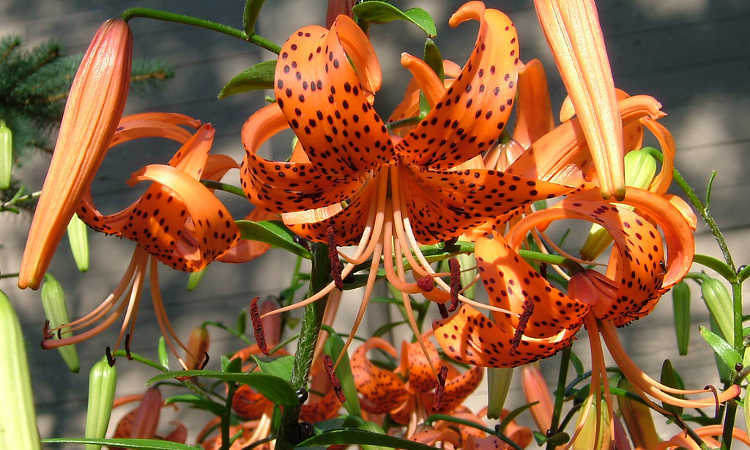 Q: Are tiger lilies poisonous to humans? A: There’s some online controversy about this. While all parts of Lilium lancifolium are edible to humans, there’s been some confusion in regards to the pollen. Many websites claim that the pollen itself is poisonous to humans, citing that people will throw up or feel sick. However, this same claim has not been agreed with by botanists. In fact, at least one ethnobotanist (Dr. Francois Couplan) claims in one of his written works on edible plants that the pollen of Lilium lancifolium can be sprinkled over dishes, and that it is “nutritious and has a pleasant taste”. It’s quite likely that the concerns about poisoning by pollen are stemming from its toxicity to cats. A cat who licks pollen off their fur may experience the symptoms I described above (vomiting, etcetera). But humans shouldn’t have the same reaction. The flower buds and leaves of the tiger lily are reputed to have a bitter flavor, where the bulbs when cooked are said to be parsnip-like in taste. Both are widely used in dishes in China, Japan, and Korea. However, if you’re at all concerned about whether it’s truly safe, you can choose to just admire the tiger lily in the garden instead of eating it. Tantalized by the tiger lily’s exotic blooms yet? These vibrant flowers can bring life and beauty to any garden, indoors or out! 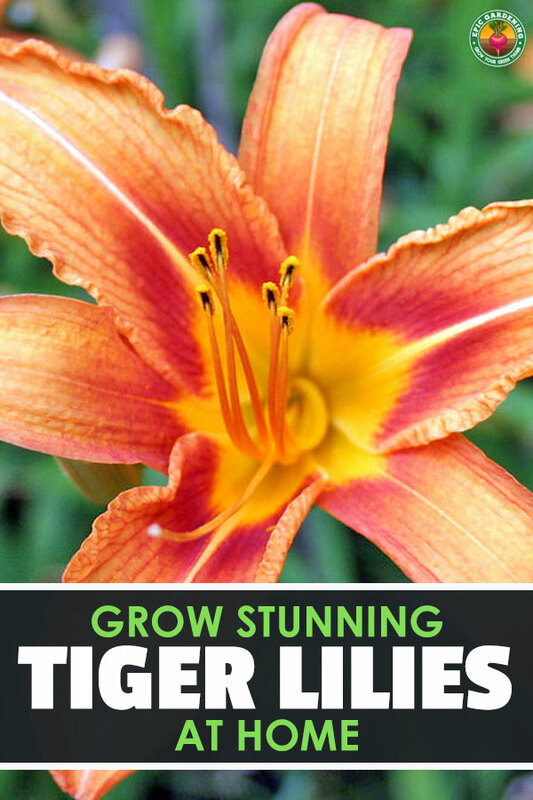 Have you grown tiger lilies before? Share your stories in the comments below! My foliage on my tiger lilies is dying right after they bloom. It never used to. What is going on? I have Tiger Lilies that come up beautifully strong and healthy looking. Yet at the point when the flower Bud is beginning to form and is about one inch long, at the base of this bud it is attacked by a Black fungus or disease that destroys the flower bud, and so I get no flowers. I find nothing that can help me know what is wrong and what I can do about it. I have even moved some to different areas of my yard yet on every plant this occurs. Do you have any idea whar could be wrong? Thank you for all the info on tiger lilies. I received one as a gift recently and plan on planting in my garden.